Sweet are the friendships we develop on life’s journey. One of the treasures I love about the writing journey is meeting other Jesus-hearted, wisdom-seeking, and heart-lifting women who share God’s call to write. Several years ago a few friends met for dinner. Several writers from different places, life experiences, and seasons of life. Amidst the chatter in the restaurant, God entered our conversation as the youngest in this little band of word crafters took a brave risk. She began to tell of one of her hard stories, the ones that have the power to mark your heart and maim your soul if left to fester in the dark of secrecy. As honest words uncovered hidden shame from broken choices rooted in a deep need to be accepted and loved, my friend Janell responded with compassion. And words of healing and hope. 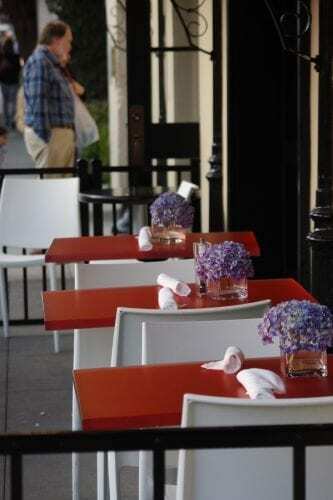 That table in a Monterey restaurant became a sanctuary of grace, love, and healing. Holy ground where hearts are heard and hurts begin to heal. Janell Rardon has a rare gift and and a desperately needed grace in today’s world. The three of us gathered for dinner during a writer’s retreat. All weekend we’d been talking writing, trouble-shooting books, and learning together. At dinner, Janell shared her heart for the book she was working on, the one that is a legacy of her own road to healing from words that wound. That evening, I had the chance to watch a gifted counselor be fully herself in a divine appointment. 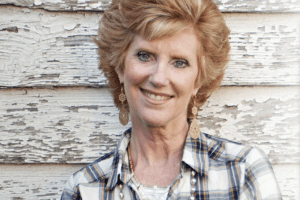 It was an extraordinary evening, and I’m thrilled to share an author Q & A with Janell Rardon as she shares about the book we prayed for and dreamed about that night in Monterey. About this book from Worthy Inspired. Words are powerful, and when that power is used to inflict pain and tear down, the effects can create long-lasting wounds. 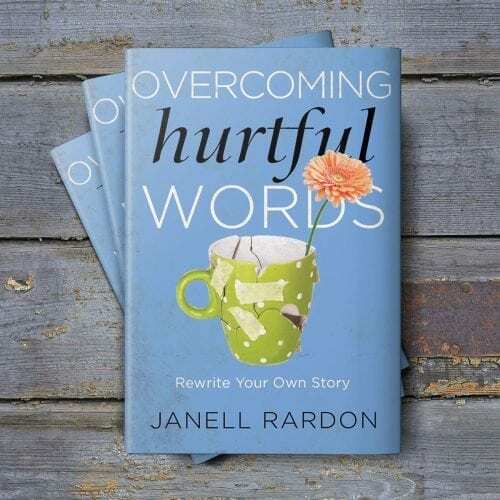 In Overcoming Hurtful Words, board-certified Advanced Christian Life Coach and counselor Janell Rardon shows us that these effects are not irreparable. With the help of her Scripture-based program, Rardon demonstrates that each one of us has the opportunity to peel away the layers of damaging labels that have been applied to us over the years by society, false friends, and our own fears and doubts to reveal the God-created identity underneath. Through nine helpful practices, readers will be guided in reflecting on what has caused their past pain, reframing the harmful thoughts that are causing distress in the present, and re-authoring those thoughts to create a brighter and healthier future. Rardon calls this process a heartlfit: the practice of vocalizing crushing pain in a healthy manner that brings closure, emotional healing, and lasting freedom. While the journey is not an easy one, Rardon’s encouraging words help women recognize the power of the “turn-it-around God” we serve—a God who would not let the pain of His children be wasted. I recently had a chance to ask Janell a few questions about her book. Q: What motivated you to write this book, Overcoming Hurtful Words? Did it come out of personal experiences or general observations…or a little of both? A: Sincerely, I was initially motivated by a debilitating grief over the way women treat one another—especially women of faith. Yes, my expectations were higher, as I believe women who profess faith in Christ, albeit human and imperfect, are called to live a life worthy of this calling—myself at the front of the line. And then, after a deeply personal, crushing experience, in which hurtful words from a fellow female leader cut me to the core, I faced a serious emotional and spiritual crisis. This altercation merely served as a tipping point and confronted many unhealthy behaviors and patterns that needed to be addressed in my life. 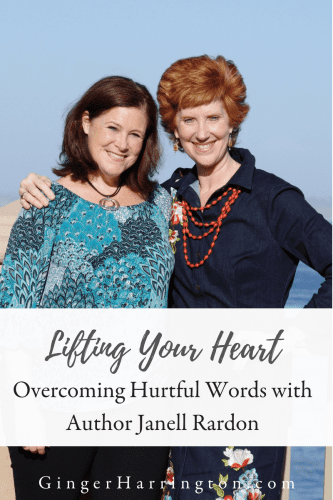 As I worked out my angst on my blog and within the hallowed pages of my journal and daily listened to the heart-wrenching stories from the hearts of my clients, Overcoming Hurtful Words was born. Q: Your book stresses the importance of “alone time”—times of solitude, in which we can address the issues of self-care and self-preservation. You comment that without those times, you are really no good to anyone. Would you explain what you mean by self-care and self-preservation? A: Through this arduous healing journey, I’ve learned a valuable lesson. I can’t do it all, nor have I been called to do it all. I’ve also discovered I am highly allergic to “shoulding” and “shaming” language. We are really good at shoulding all over one another. A kissing cousin to judgment, shoulding is a heavy burden on its recipient. You should be at this and that. You should call me more often. You should get on with it. With painstaking care and heartfelt personal examination, and a great deal of prayer and study, I saw over and over again how Jesus made it his highest priority to spend time with his father. With throngs of people constantly seeking his help, he slipped away to seek solitude. He modeled “self-care,” and “self-preservation,” for us. He knew he had to connect to the most important relationship in his life, collect strength by being in a quiet place, and attune himself to his father’s business. Without a doubt, I can tell when I have neglected this practice. My words are sharper. I have a shorter fuse. My relationships suffer. I grumble and complain. And, grace is replaced with shame and should. Often, I get physically sick. Q: Walk us through what you mean with the words: Heartrift, Heartshift, Heartsift, and Heartlift. Heartrift: deep wounds caused by heartbreaking words from close, trusted friends and family members. Heartshift: that moment in time when the heart awakens to truth. Heartsift: taking necessary time to examine past behaviors/communication skills (or the history of hurts) thoroughly to isolate those that are unhealthy. Heartlift: the process of vocalizing crushing pain in a healthy manner that brings closure, emotional healing, and lasting freedom. Q: You use the acronym W.H.O.L.E. Can you tell us what that means and why it’s important in the process of overcoming hurtful words? A: The entire goal of Overcoming Hurtful Words and the heartlifting process and journey is to be emotionally and spiritually WHOLE. I couldn’t think of a better “term” than this five-letter word. I lovingly call this the Emergency Response Plan (ERP), an emotional 911 that can be used in that moment of emotional crisis/surprise, when all your flesh wants to do is react—but, we want to move towards wholeness and train ourselves to respond. By practicing and memorizing these five steps, repeatedly (inside our own thought processes), they became second nature. W: Welcome God in (God, please help me). H: Hold fast to your truth (I have value, worth and dignity). E: Elevate the atmosphere (Be the bigger, more mature person). Q: What is one thing that someone struggling with hurtful words can do right now to begin the healing process? Pick up a copy of Overcoming Hurtful Words (smile)—seriously, it is a guidebook that will serve as their very own personal life coach. It is written in a very personal manner, as if they were sitting in my counseling office. Then, search for a healthy faith community. Feed the spirit with life, truth and authentic relationships. More information that will help can be found on my website: www.janellrardon.com and many more resources are coming: www.overcominghurtfulwords.com. BIO: Janell Rardon, national and international speaker, author, and relationship expert, has a master’s degree in Human Services Counseling/ Marriage and Family Specialization. A board-certified Advanced Christian Life Coach (AACC), she is in private practice in Suffolk, Virginia. Janell and her husband have three grown children. As a faith leader, Janell’s passion is to help women and their families activate the three-fold cord of emotional health and spiritual maturity in their lives and homes. When this happens, the world is a healthier place to be. Find out more at OvercomingHurtfulWords.com and JanellRardon.com. author interview, Healing, Janell Rardon, Overcoming Hurtful Words, Writing journey. Bookmark.